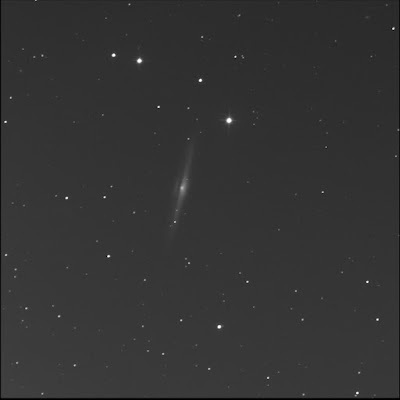 BGO imaged RASC Finest NGC 5746 for me. An intriguing edge-on galaxy in Virgo. Dark lane in foreground. Bright core. 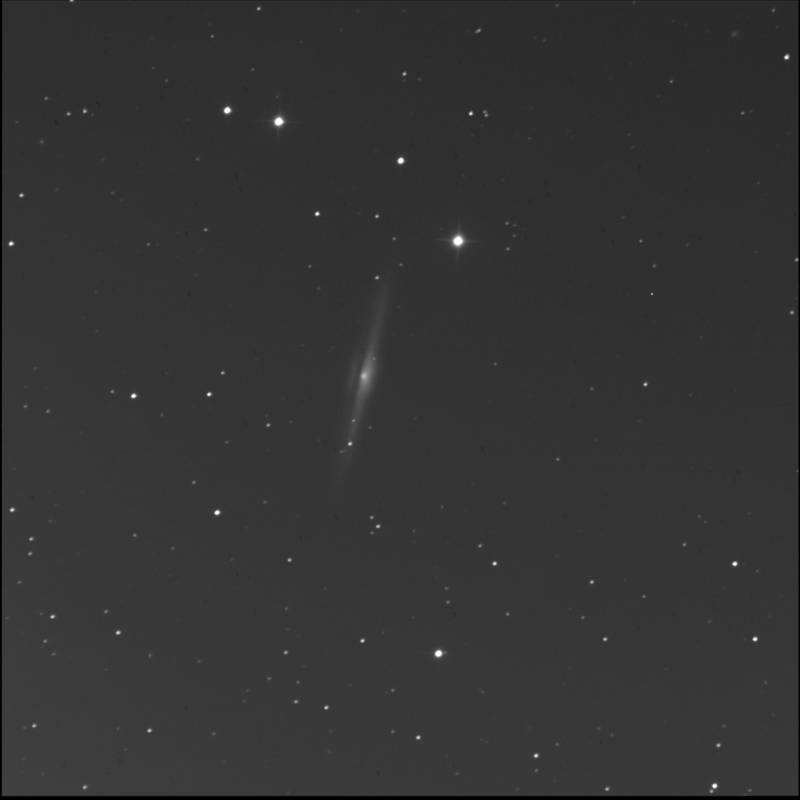 Spotted PGC 52633, a faint, small fuzzy galaxy north-west of the needle, near the top-right of the image. Noted LEDA 1214810, a small, oblong fuzzy, north-east of the big galaxy. Nestled in the top-left. Is that a double near the bottom-right?